Solid details are scarce right now, but an official blog post describes the app as a way to "bridge the gap between your iOS and Android devices and your PC." 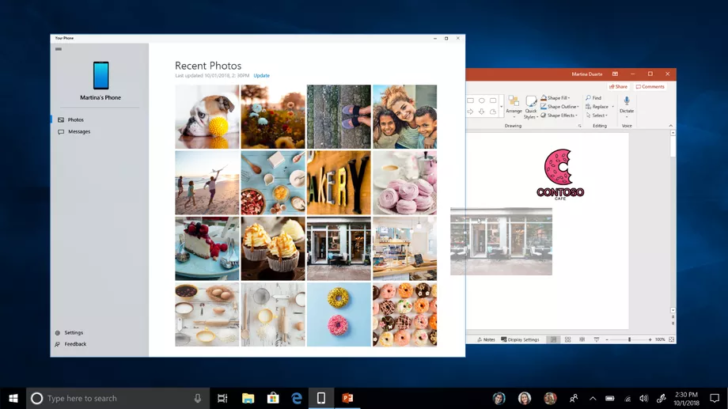 It goes on to talk about accessing texts and photos from your Android phone on your Windows 10 machine (explained in the below video) but we can expect much more from the app in the future. In its presentation, Microsoft also talked about the ability to mirror any Android app on your PC, using Snapchat as the example. This functionality will come in a future version of Your Phone Companion, although no timeline was given. Other apps are already able to achieve something similar, but Microsoft building native support is big news. We'll have to wait to find out more concrete details.